Dublin born Veronica (Ronnie) Dunne was a child with varied interests. She not only found herself involved in singing at an early age, she also developed a love of horses. During her youth, Ronnie competed in gymkhanas, at Royal Dublin Society riding competitions, and she had a real passion for fox hunting. Ronnie was educated at the Holy Faith Convent, Clontarf, followed by boarding at Mount Anville Sacred Heart Secondary School. She began her vocal studies at age 12 with Herbert Rooney, a former student of Parisian Jean De Reszke. Rooney immediately recognized her tremendous potential; her early love of and quickly developed skill in “Bel Canto” singing was to serve her well. After selling her pony to help fund her studies, Dunne moved to Rome in 1946. She had met Monsignor Hugh O’Flaherty, a man revered for his work in the Vatican during WWII saving thousands of Allied lives, and he had offered his protection when she came to Rome to begin advanced training. He arranged for her to board with the Sacred Heart nuns as she studied with Contessa Soldini Calcagni, and then with Maestro Francesco Calcatelli. While still a student, Ronnie made her operatic début in 1948 with the Dublin Grand Opera Society as Micaela in Carmen and Marguerite in Faust. In 1952, Dunne’s final year of studies, she won the Concorso Lirico Milano, competing against 200 sopranos in her section. As a result of winning that prestigious competition, she was chosen as Mimi and made her Italian operatic début in La Bohème at the Teatro Nuovo in Milan. Sir David Webster heard Ronnie sing Mimi and offered her a contract. She joined the Company of The Royal Opera House, Covent Garden, and made her operatic début there as Sophie in Der Rosenkavalier (Strauss). With Covent Garden, she again sang Mimi; Susanna in Mozart’s The Marriage of Figaro with Joan Sutherland as the Countess, and Euridice in Gluck’s Orfeo ed Euridice, with the late Kathleen Ferrier, in Kathleen Ferrier’s last performances ever in February 1953. That same year she married Peter McCarthy, with whom she had two children. After her marriage, she commuted to Covent Garden where she was much in demand, singing major roles for the Company. She also sang key roles with Welsh National Opera, Scottish National Opera, Sadler’s Wells (now ENO), and Wexford Festival Opera. In 1954, Ronnie toured the U.S. with the first Festival of Irish Singers and appeared on The Ed Sullivan Show during that three-month tour. Unlike today’s more liberal acceptance of working mothers, for Ronnie balancing family and career wasn’t as easily accomplished. While her singing, as dictated by social mores, took a back seat to family, she eventually moved into a part-time situation with Covent Garden while raising her children, retiring from the stage in 1973. During that time, she also sang in oratorio all over England, Belgium, and Germany, and toured with Sir John Barbirolli and the Hallé Orchestra. In 2002, Ronnie was invited to sing in Opera Ireland’s production of Queen of Spades, receiving high praise for her performance. Veronica Dunne has given numerous broadcasts and appearances on television with RTÉ and BBC. She has made several recordings with EMI, including the first recording of The Irish Ring, which has been a tremendous success all over the world. In 1961, Ronnie moved into teaching and joined the staff of the Dublin Institute of Technology College of Music as the only voice teacher, and since that time has taught nearly every major Irish singer. She built a successful vocal department and developed the Repetiteur system, teaching and training vocal coaches and accompanists to vocalists. She has also taught at the Leinster School of Music and is currently on staff at the Royal Irish Academy of Music. 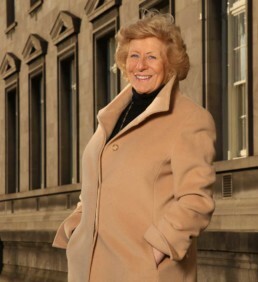 She has devoted her life to the training of young voices, often opening her home to foster students when no funds were available for their studies, taking on far more pupils than her busy schedule seemed to allow. Amongst her students now pursuing busy careers internationally are soprano Suzanne Murphy, contralto Patricia Bardon and mezzo soprano Tara Erraught. Ronnie is a founding member of The Friends of the Vocal Arts in Ireland. The FVA was established to financially assist vocal students in Ireland and has awarded thousands in bursaries to outstanding singers. 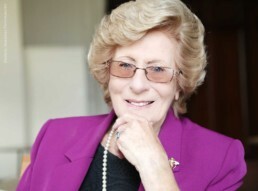 On 2 April 1987, Dunne received an Honorary Doctorate from University College Dublin, and the Royal Dublin Society made her an Honorary Life Member on 23 June 1988. 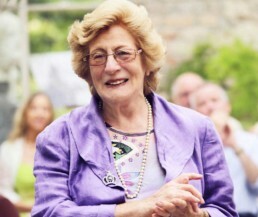 She has also been the patron to Dublin’s Lyric Opera for the past four years. Dr. Veronica Dunne is an Irish National Treasure. She can be credited with the strong foundation upon which the Dublin vocal community was built. She is a constant presence in the Dublin opera world, a well-respected vocal musician and teacher, a unique and gracious woman. She is a dedicated advocate of vocal music education and literally hundreds of singers owe their success and careers to Dunne’s gifted teaching. Ronnie continues to teach aspiring vocal artists. The culmination of her dream of providing bursary funds to promising young vocalists is the establishment of The Veronica Dunne International Singing Competition.